It's blueberry season, or soon will be, for those of us living in this part of the country. As a child I reluctantly used to go picking in the summer to make some spending money, but now I find it very relaxing to get out there among the rows and rows of berries. Especially with some good company, to eat, enjoy the sun and anticipate the desserts that will come. This delicious crumb cake is the easiest and quickest you will ever make, with the base and crumb topping made of the same mix. Spread into greased or parchment paper lined 9 x 13 pan. Sprinkle with 2 cups blueberries and reserved crumb mixture. Squeeze to make crumb clusters as you drop them by handfuls. Bake in upper part of oven (important) at 375F for 35 - 45 min. Cool or serve warm with ice cream. This looks so good Anneliese! I just found a recipe online for blueberry crumb cake and made it the other day. I wasn't totally happy with it so I'm glad to see your recipe today. SOOOOOO delicious!!! Save a piece for me. Anneliese I have made this recipe from you so so so many times.. . it is quick as you say and wonderful. This looks yummy...thanks for sharing. And it was so good to meet you tonight! 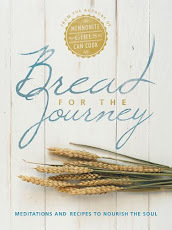 This is a great recipe to include in the MGCC cookbook! It's quick and easy, and wherever I've taken it, it gets rave reviews. i saw that picture and had a sneaking suspision that it had to be you. it looks wonderful...and oh those crumbs are perfect. i just love your recipes..this must be another one to try, my recipe is similar but without buttermilk. keep those recipes coming girl! Yummmm! I've been making this recipe with peaches as those are plentiful around here now. Have a great week-end. I have frozen so many blueberries just to make this wonderful platz any time of the year. You can whip this up on Sunday morning and serve a delightful, fresh dessert at lunch. What a great evening of meeting some MGCC friends. How nice this looks and especially when you can pick them and not have them flown half way around the world. We would call this a crumble. Yum. I was just on the MGCC this morning thinking...before I rush to a late start at work I will make the 'kids' some blueberry scones. Now....Where is that scone recipe? But then I saw this and thot...wow...this would be something I could make for the kids and take in to work as well. Thanks. .it looks easy enough for even me! This turned out really well and its great that the topping and the base start out with the same ingredients -- so easy! I made it with rhubarb and added a little sugar and a few blueberries for color. Delicious! Anneliese! I just have to say this again tonight.... Time and time again I have made this platz for many an occasion with always tremendous applause. And of course, it is all owed to you and this wonderful recipe you posted over a year ago! Many have gone to make this to much acclaim and again, as I use up some blueberries tonight to make this for work, I sit here and smell its wonderful aroma in the oven and think of you! Thanks for sharing this delightfully easy and tasty recipe. I adapted for gluten-free. Added 2 tsp xanthum gum (1 / cup flour) to make less crumbly and 2 tsp gelatin (for moisture). Used GF flour mix (rice flour/potato starch / tapioca starch). Also used corn free Baking Powder (spouse's intolerance). The fruit adds lots of moisture. Turned out great! Next time I'd add some cinnamon. Wow...two years almost to the date,since I last posted on this particular recipe...and here again I sit with the wonderful praises of staff loving the blueberry (and cherry this time) platz I brought in to work. Still as good, still as easy to make and still loved by all! Perhaps one of my all time favorite recipes! This looks amazing. I'm from New Zealand and married into a family with Mennonite roots, so I'm giving Platz a go. This is in the oven right now. So easy to make. Thanks so much! I grew up in the Fraser Valley and most of my friends were from Mennonite families. 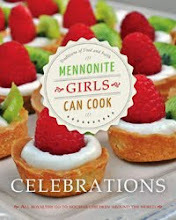 So many recipes here bring back memories of after school snacks at friends' houses, made by their Mennonite mothers- platz, beinenstich, homemade buns and soups and more. This was the dish that led me to this site (by Googling "blueberry platz"), and I want to thank you and all the ladies here for these wonderful recipes that I'm now able to cook for my own kids! I just put this in the oven! Looking forward to sharing it tommorrow with our worship planning team!! This turned out so well! 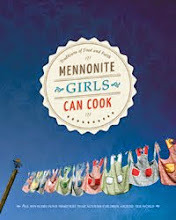 Mennonite boys can cook (bake) too!